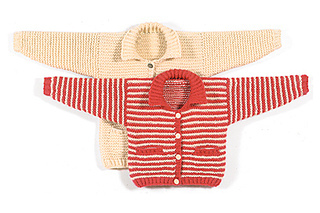 Knit this warm and wooly sweater over a weekend - make it short or long, striped or plain and wit or without pockets. Worked in garter stitch throughout. A traditional wardrobe basic.